“It is trite that the terms of the contract can be express or implied. The conduct of the parties would also be a relevant factor in the matter of construction of a contract. The construction of the contract agreement is within the jurisdiction of the arbitrators having regard to the wide nature, scope and ambit of the arbitration agreement and they cannot be said to have misdirected themselves in passing the award by taking into consideration the conduct of the parties. It is also trite that correspondences exchanged by the parties are required to be taken into consideration for the purpose of construction of a contract. Interpretation of a contract is a matter for the arbitrator to determine, even if it gives rise to determination of a question of law. 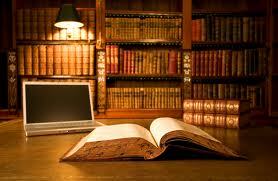 “If the arbitrator commits an error in the construction of the contract, that is an error within his jurisdiction. But of he wanders outside the contract and deals with matters not allotted to him, he commits a jurisdictional error. Extrinsic evidence is admissible in such cases because the dispute is not something whjich arises under or in relation to the contract or dependant on the construction of the contract or to be determined within the award. The ambiguity of the award can, in such cases, be resolved by admitting extrinsic evidence. The rationale of this rule is that nature of the dispute is something which has to be determined outside and independent of what appears in the award. Such a jurisdictional error needs to be proved by evidence extrinsic to the award. Associate Builders v. Delhi Development Authority, (2015) 3 SCC 49.